Our office provides a wide variety of preventive, restorative (cavity repair), limited orthodontic, and cosmetic services for young people. We have found that regular dental check-ups, started early in life, reduce the risk of your child developing significant dental problems. It affords us the opportunity to identify needs early when treatment is usually limited to simple procedures. Most children can well manage our care as we guide them to optimal dental health. If your child has not seen a dentist in a while and you believe that he/she may have treatment needs, we, of course, welcome you. In such cases we are able to introduce children to tooth care in a pleasant, caring environment. Recent technological advances in dentistry have not only streamlined our care delivery but also improved our diagnostic capabilities and increased patient wellness. Our office has been computerized for many years. Virtually all of our claims are submitted electronically, which greatly simplifies financial matters. Patient records are also largely electronic, and backed up daily, insuring privacy and safety. Xrays– All radiographic imaging in our office is digital. This enhances our ability to identify conditions early and reduce xray exposure. 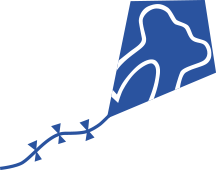 Transillumination– We are pleased to offer the transilluminating cavity detection device: Spectra. 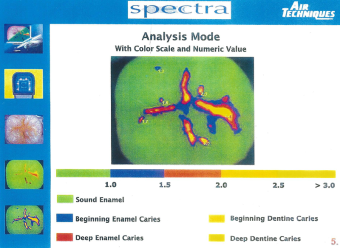 Spectra allows us to map out small areas of tooth decay. Treatment of these areas can be completed painlessly, without anesthesia. Intraoral camera– Identification and documentation of dental conditions is enhanced with the use of an intraoral camera. A picture is worth a thousand words!